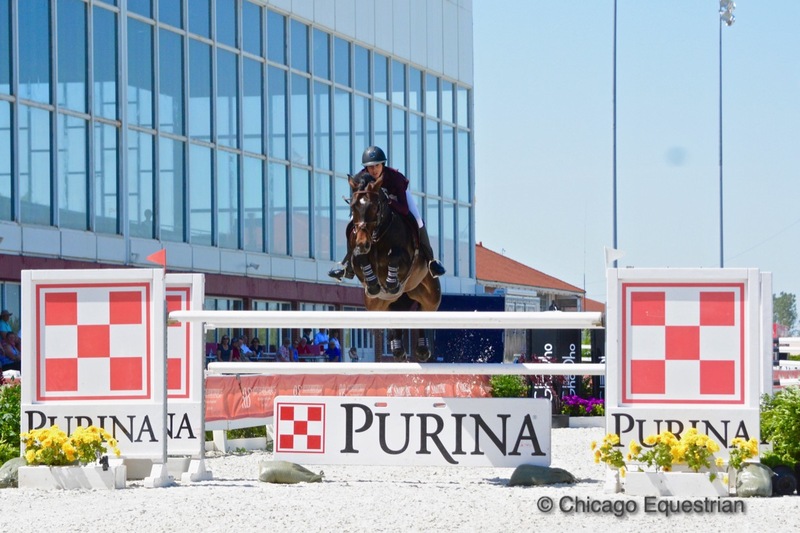 Derek Braun and Lacarolus won the $50,000 Purina Animal Nutrition Grand Prix held at the new HITS Balmoral Park during the Showplace Spring Spectacular I Horse Show. 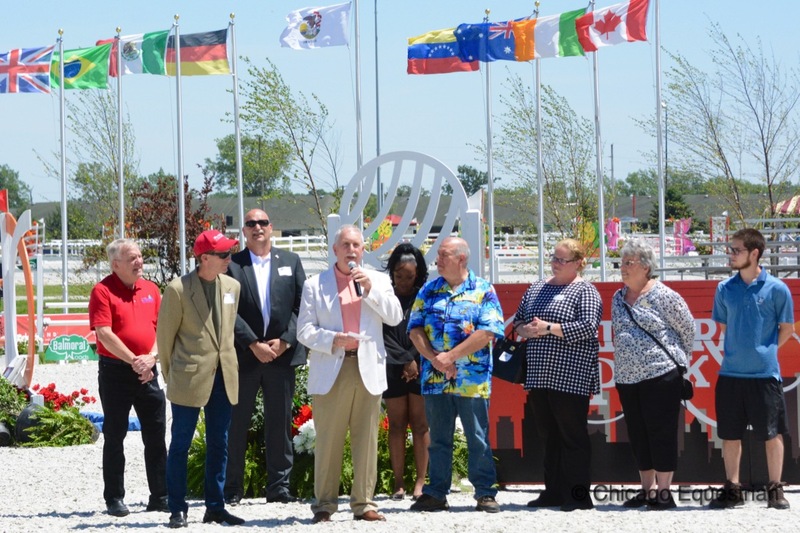 Crete, IL - June 10, 2017 – HITS Balmoral Park was buzzing with activity for the Grand Re-Opening Celebration of the historic racetrack venue. Once a thriving thoroughbred racetrack then a harness racing track, the last horse crossed the finish line in December 2015. 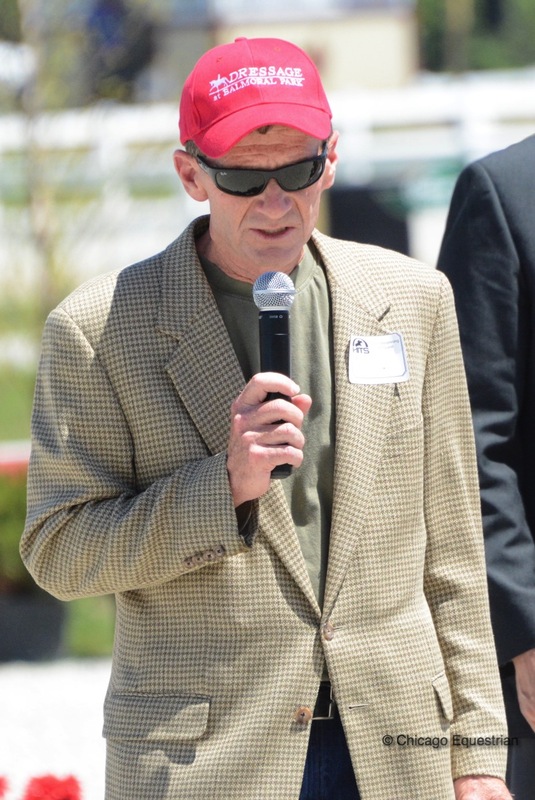 HITS purchased the facility in 2016 and began work on converting it to a horse show facility. Elite show jumping horses now cross the historic finish line as spectators line up once again to watch fast horses win at Balmoral Park. Spectators lined up once again to watch horses at the historic Balmoral Park. Crete Mayor Michael Einhorn addressed the crowd. Tom Struzzieri, Founder and CEO of HITS, Inc., (inset photo) together with Crete Mayor, Michael Einhorn, and Jim Garrett, President of the Southland Chicago Visitors Bureau, hosted the celebration. 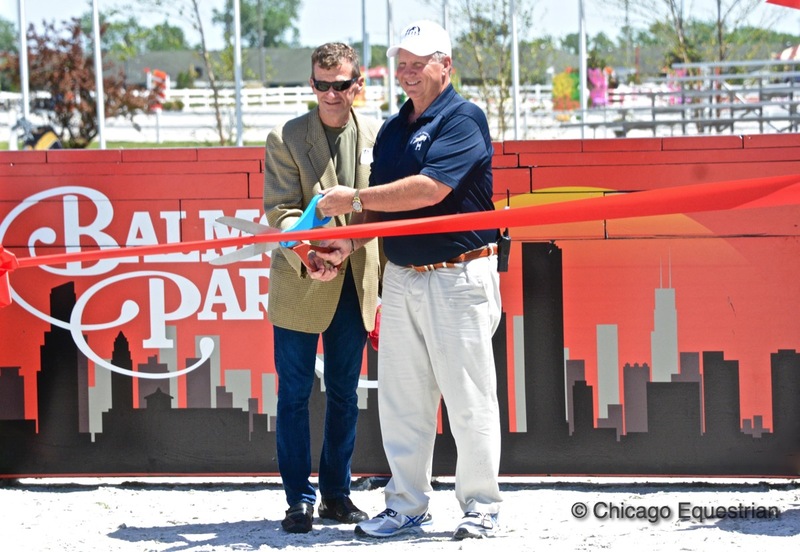 The day included children's activities, a VIP & Press Luncheon, a Ribbon Cutting Ceremony and Grand Prix Show Jumping. 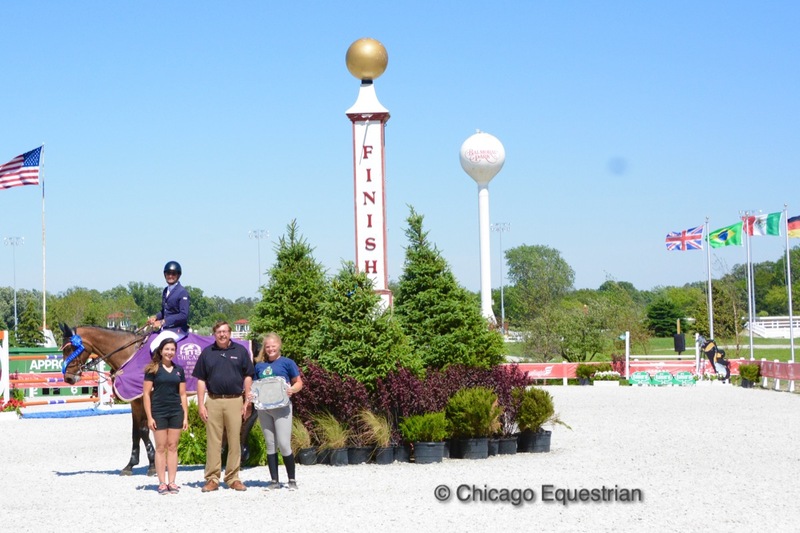 HITS selected Victory Reins Therapeutic Riding Center in Peotone, Illinois, to be its Charity Partner. Victory Reins is a non-profit riding center that provides therapeutic recreational equine activities for children and adults with special needs to experience the bond that is created between horse and rider. Proceeds from a raffle and several other activities were donated to the charity. Tom Struzzieri and Pat Boyle share the ribbon cutting honors. Children could enjoy face painting, pony rides, gift bags from Nutrena and a horseless horse show. 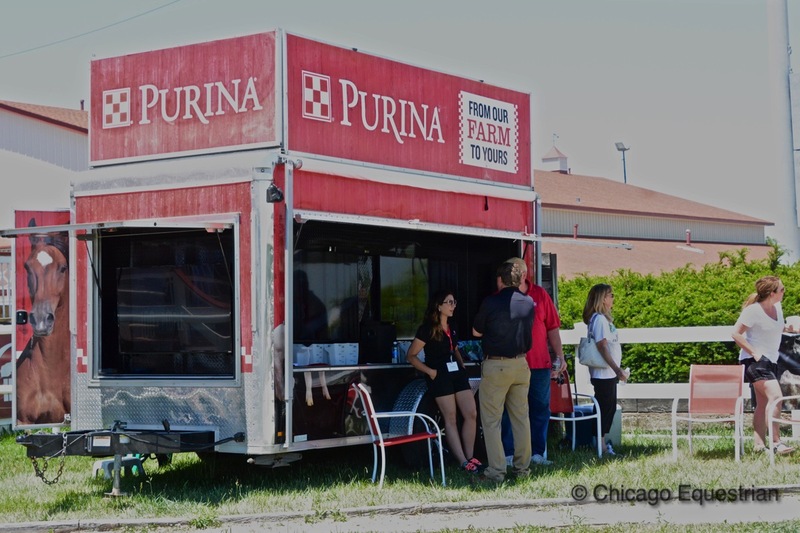 Spectators could enjoy shopping and lunch in the climate controlled grandstand while watching the $50,000 Purina Animal Nutrition Grand Prix. Some of the grand re-opening activities. Nineteen horses attempted the Catsy Cruz Harris designed course for a chance to take home a big paycheck. One rail at a time dropped until there were only two riders clean to return for the jump off, Annabella Sanchez and Derek Braun. 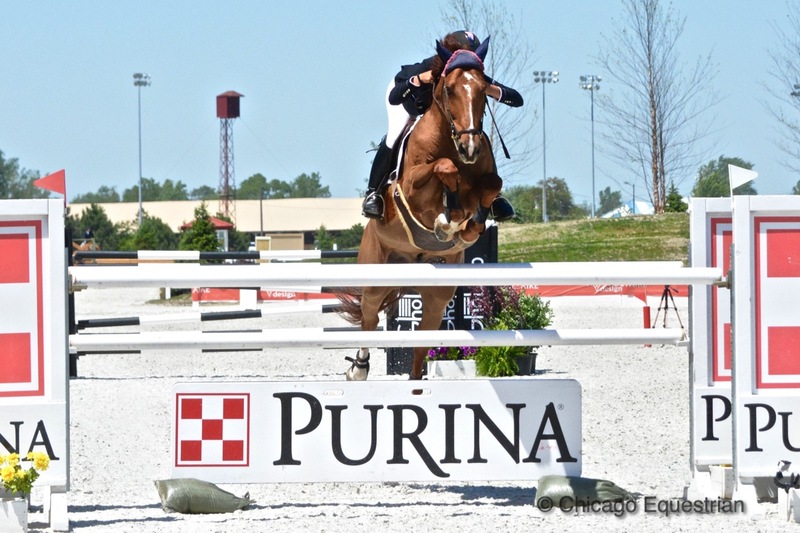 Annabella Sanchez and Cassano Z finished in second place in the $50,000 Purina Animal Nutrition Grand Prix. 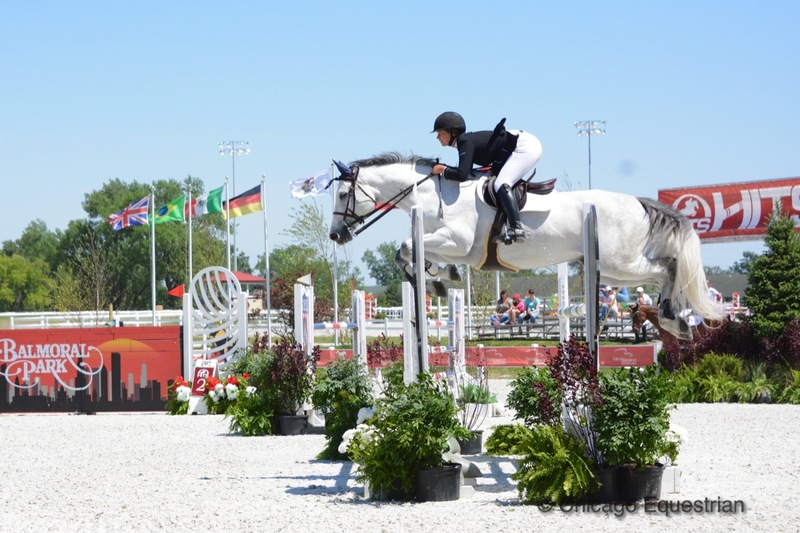 Sanchez, 15, and Cassano Z were first to speed through the timers in the jump off with the time that could have taken the lead, 43.649 seconds, but one rail hitting the ground added four faults. "I love balmoral," said Sanchez. "I was here for Spring Warm up. It's so big and the footing is amazing, the ring is amazing and there's great prize money. I will definitely be back." 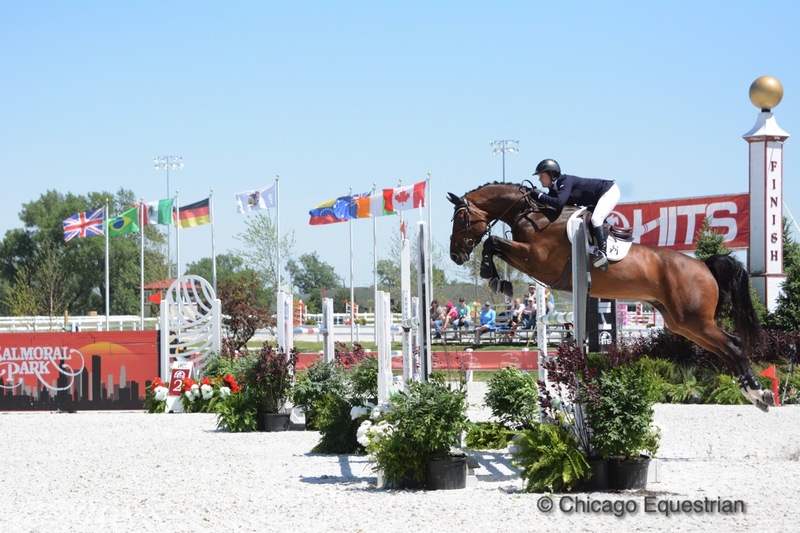 Sanchez hopes to qualify for the Prix de States in the fall and wants to work up to the U25 at the Winter Equestrian Festival. Sanchez won the GhoDho U25 Jumper class as well today. Braun of Lexington, Kentucky, and Lacarolus took a bit more time to put in a clean round with a time of 46.446 for the win. Derek Braun and Lacarolus with Purina Animal Nutrition representatives at the historic finish line post. "I'm loving Balmoral Park," said Braun. "My horses jumped all week without having one rail down.My horse [Lacarolis] is 14-years-old, I've had him since he was six. I've known he could be a super star since I got him, he's got all the heart in the world, all the talent, he really wants to jump and to win, he's the best horse I've ever had." "I appreciate Tom [Struzzieri] building this facility, it's only five hours from my door and easily accessible. Honestly the amenities are the best I've ever seen at any of Tom's shows, in the grand prix ring the footing is good, the hospitality is great and the stabling is incredible so I'm sure I'll be back," added Braun. Lisa Goldman and Hindsight were the fastest four faulted for third place. 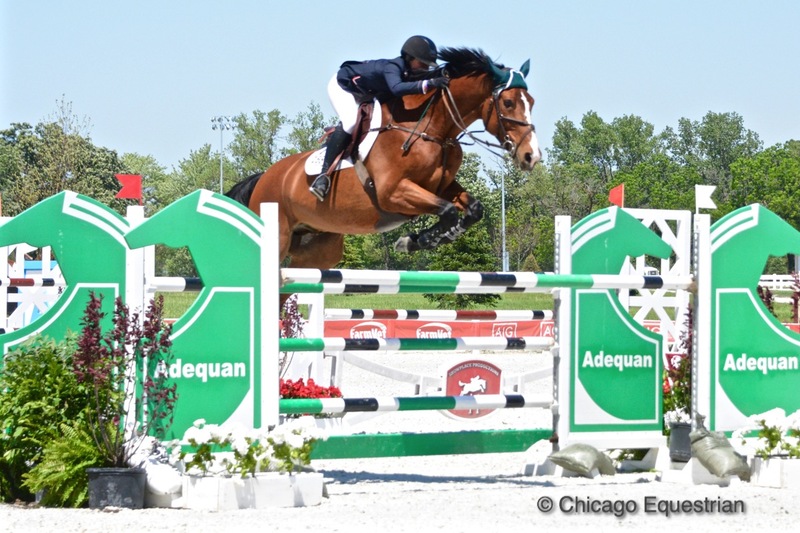 Lisa Goldman and Centurion B earned the fourth place spot. Gia Rinaldi and Show Show finished in fifth place. Winn Alden and Charlie took home sixth place. "A lot of work was put into getting the facility up and running quickly," said show manager Patrick Boyle of Showplace Productions. "We're glad to be able to put on this great event today and have everything up and running - it's quite an accomplishment. We'd like to thank the exhibitors, local businesses, the area mayors and Southland Chamber of Commerce for their support in making this happen. We look forward to the growth and expansion ahead of us." Competition continues at the facility until the end of September. The Showplace Spring Spectacular Series runs until June 25th, featuring a $50,000 Grand Prix each Saturday. 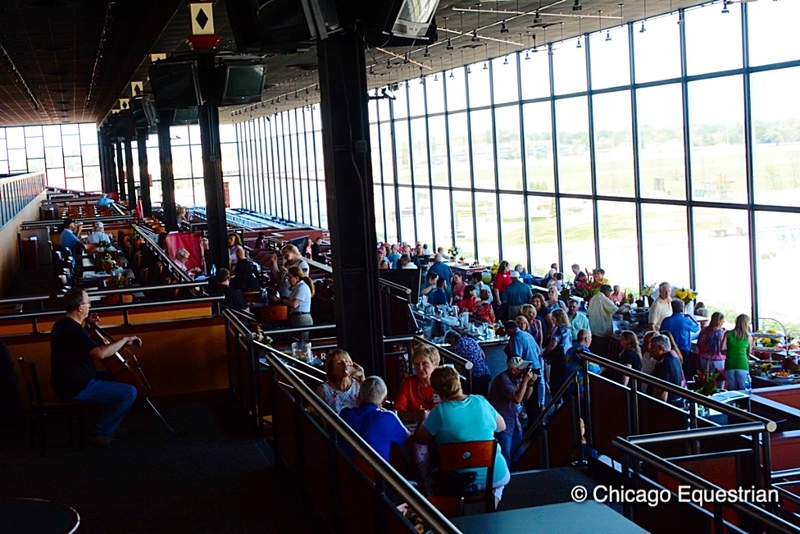 Chicago Equine Medical Center has been serving the horse community of Illinois, Wisconsin and beyond for over 20 years. 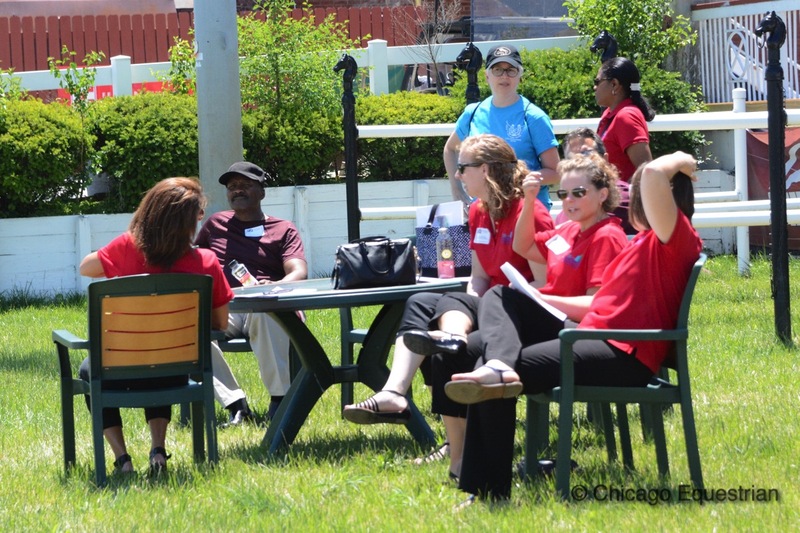 Formerly known as Merritt & Associates Equine Hospital, Chicago Equine may have a new name, but their commitment to improving and maintaining their patient’s health remains the same. 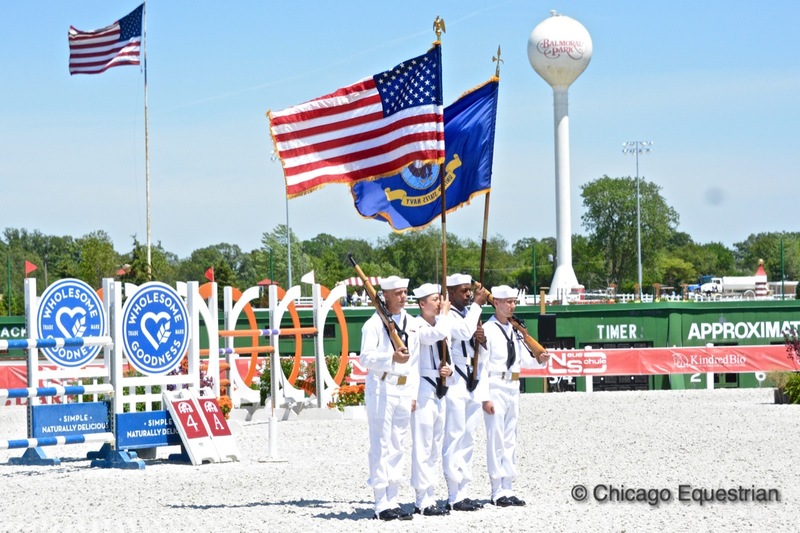 Whether it’s at your barn, the show ground, or their full service clinic in Wauconda, IL, Chicago Equine Medical Center has highly trained veterinarians and staff devoted to preventing, diagnosing, and treating injuries and illnesses in both sport and pleasure horses. 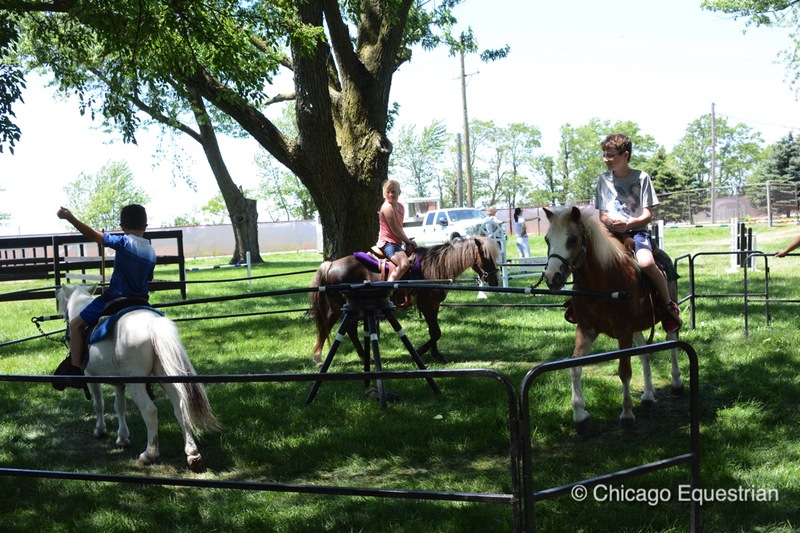 By offering everything from comprehensive soundness exams to acupuncture, Chicago Equine aims to serve every need of their clients, new and old. Their facility provides emergency and hospitalization services around the clock and their board certified surgeon utilizes an ultra-modern surgical suite for both emergency and elective procedures. 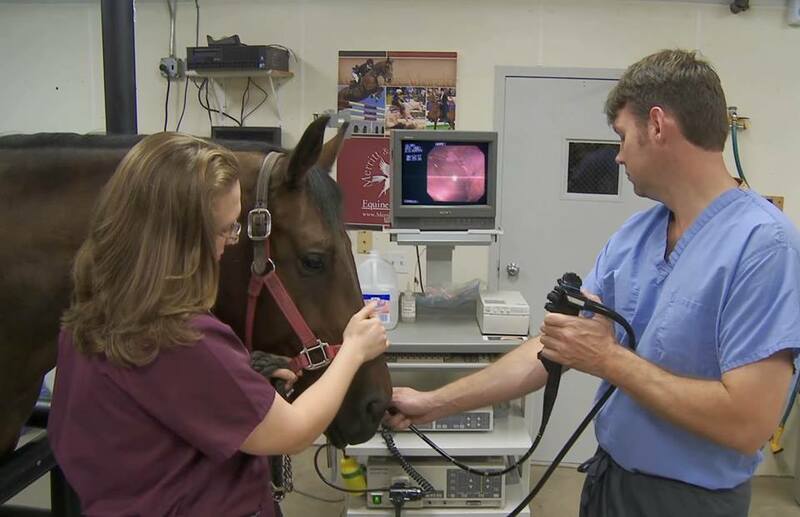 With a skilled staff and advanced technology, Chicago Equine Medical Center is dedicated to helping horses perform at the peak of their ability while enjoying a longer, more successful career and productive life. 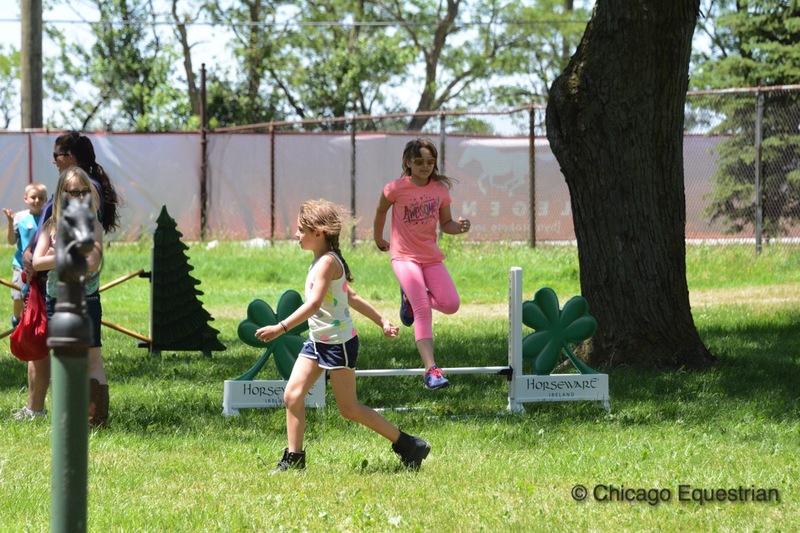 Chicago Equine Medical Center is proud to be a part of the HITS Chicago Series. To set up services for your horse at Balmoral Park call 815-701-7374 or feel free to stop by the show vet office. 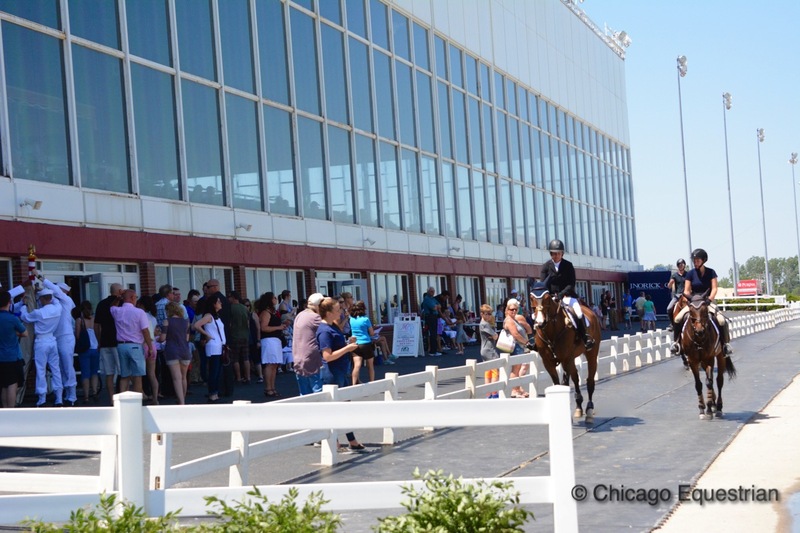 For services outside the show grounds, call their clinic at 847-526-9550.